En del vil genkende Martyn Cornell som navnet bag bloggen Zythophile, andre vil måske kende ham som forfatter af flere ølbøger, senest ”Strange Tales of Ale”. I dag er han dog på Stovt, hvor han har taget sig tid til at besvare spørgsmålene i Stovts poesibog. Vi stiller om. I’ve always believed that anyone who has a “favourite beer” doesn’t really like beer enough. I couldn’t say there was one beer above all others. There are a large number of brewers whose beers I am likely to pick ahead of another’s if I see them, both British and overseas, but I don’t have any single “favourite”. Even in a given style, say English bitter, I can think of half a dozen or more I’d go for straight away if I saw them on the bar, but none is a “favourite” to the extent that it’s the number one. If you said: “You’re only allowed one named brew from now on,” I simply couldn’t choose which one it ought to be: whichever one I picked, I’d miss others just as much. Again, I don’t have a “favourite” type or style, I enjoy almost every type of beer, and the one I want at any given time will depend on where I am, what I’m doing and who I’m with. In the pub talking with friends, it’s likely to be a good English bitter, not too complex to get in the way, but interesting enough that I want to continue drinking it while I chat with them. On my own at hope, it might be an Imperial stout or a American IPA, something with depth. On a hot beach it would be a simple lager, or a wheat beer, something refreshing and uncomplicated. With a meal, it could be anything that would compliment the food. 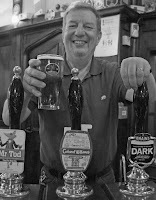 But I suppose if there was one style I come back to most often, it’s indeed English bitter: I love the depth of flavours you get in beers such as Timothy Taylor’s Landlord, Adnam’s Southwold Bitter, Fuller’s London Pride, Young’s Ordinary, Harvey’s Sussex bitter and the like. I go into pubs a fair amount: I’m lucky in having several excellent ones near where I am. I also love close to a couple of specialist beer retailers who have very good selections of unusual beers, so I stock up at those regularly. Much of my everyday drinking beer, though, is bought in supermarkets: the prices are good! I’ve had far too many great beer experiences to choose one as the greatest of them all. I’ve certainly been privileged to have had some very rare experiences: drinking some of the Arctic Ale brewed for the expedition under Sir George Nares which set out in 1875 to reach the North Pole, 135 years after it was made, was pretty amazing. I’ll tell you my greatest Danish beer experience, though: I had a terrific time in Denmark when I was there in October 2014, drank some fantastic beers, went in some excellent bars, but the best experience, simply because it was so rare and unusual, was drinking 13-year-old Carlsberg Special Brew in the cellars of the Jacobsen brewery, courtesy of Michael Rahbek and Bjarke Bundgaard. OK, the beer was “interesting” rather than great, but the experience was one to remember for a long time. Beer is the greatest long drink in the world because it can give pleasure on so many different occasions: drinking in company, drinking on your own, drinking indoors or outdoors, drinking to celebrate, drinking to appreciate, drinking with food, drinking to relax, drinking to refresh … and it comes in such a vast range of styles and types, from easy-drinking lagers to ferocious tarry Imperial Stouts, tart, sharp Belgian ales to sweet English milds. 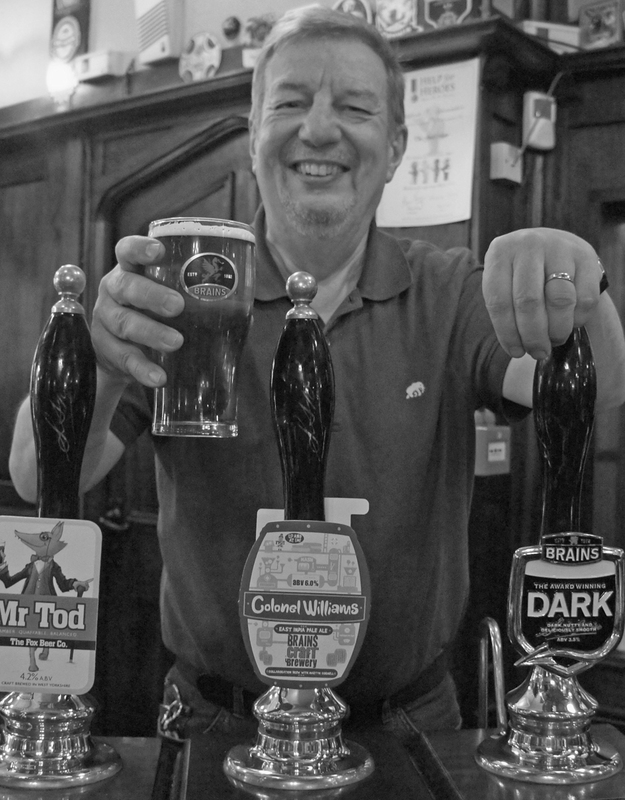 I’ve been drinking beer for 50 years this year (I started under-age!) and I’m very far from being bored with the subject.